You need an accountant for your business. Or a web developer. Or a lawyer. How do you pick the right one? It’s difficult to pick the right professional because they will obviously know technical stuff that you don’t. 1. WRITING PHOBIA Turkeys never volunteer to put anything that you agree with them in writing. Minutes, plans, reports, quotations, contracts are scarce or late. 2. FEES ONLY FOCUS Their quotation only specifies the fee and not exactly what they will deliver for that fee. CAN’T TYPE… The written reports, letters, emails or other documents that they have produced contain grammatical, spelling, punctuation or typographical errors. You may not be hiring them for their command of the English language, but if they aren’t on top of this, it suggests they don’t recognise their own limitations. ALERT Long winded answers, which don’t actually answer your questions, indicate a lack of knowledge and focus. Ditto for jargon and clichés. 5. HUH? You don’t understand what they are talking about. Chances are, they don’t either. 6. ALPHABETTI SPAGHETTI Their business cards or documents display a lot of letters after their name. This can be a sign of insecurity, or worse, those letters may not actually represent educational qualifications. Ones that begin with “M” denote membership. It may just mean that they have paid a subscription to a business organisation. A professional is, by definition, professionally qualified. Conversely, a lack of letters after their name doesn’t necessarily mean that there is a lack of qualifications; they may just choose not to routinely display them. 7. CHEAP AS CHIPS The fee quoted is significantly lower than anyone else’s. This may be because they are incredibly efficient, (but are they effective?) Or, just as likely, it’s because the quality of their work is reflected in their price. 8. TALK TALK They talk more than you do. They try to persuade you to buy their services but they have no concern for what you need and whether they can deliver a solution for you. AND PASTE CONSULTANT They don’t suggest alternative courses of action for you; they just respond and react to your suggestions and requests, and churn out the same old thing for every client. They have no original ideas of their own and they aren’t on top of their brief. 10. WHINERS They moan about fees and deadlines. A good professional will scope the assignment before they undertake it and identify issues as soon as they arise. Good professionals don’t moan and whine, they just deliver service. Letters written by auditors to their client with the wrong client name in the subject line. These are just basic factual errors made by “professionals”. If they can’t get basic facts right, one shudders to think what happens when you enter the realm of advice and opinion. Scary stuff. 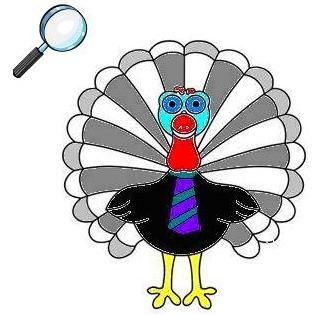 Once you’ve worked out who the turkeys are, the next step is Inquire Before you Hire; 3 Tips Before you Hire a Professional. Have you got any tips for hiring a true professional?